Slowly, but surely I work with the site and fill it with different information about the dolls. I hope soon the readers will be able to find even more useful and interesting material about dolls and teddy toys. Thus, a new section “Literature” was opened, in which there are two subsections: “Books” and “Journals”. They will contain information, literature, which can be useful to different categories of lovers of dolls and teddies, masters and amateurs who create such toys or clothes for them. There will be no patterns, descriptions, instructions from these publications on the site. Only a photo of the illustrations and a description of the contents of the books for the reader’s acquaintance, in order to help you find the necessary literature and make a decision about the need to purchase. Two articles about books are ready. Look in the section and read. All the best to you! Successful creativity! 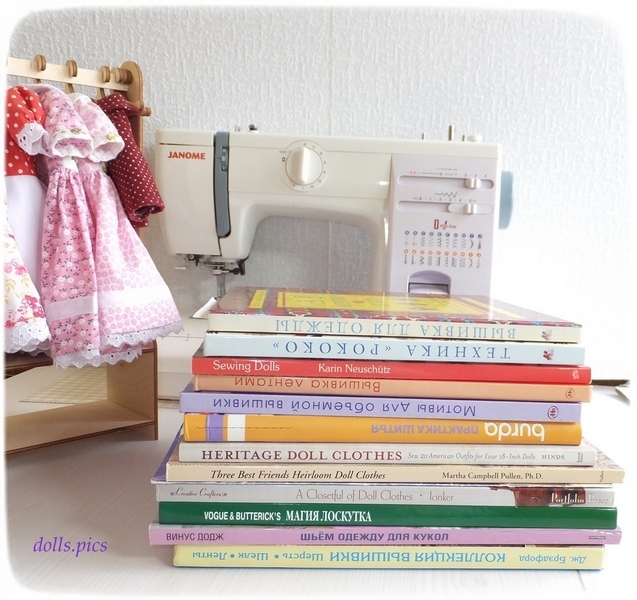 This entry was posted in Site news and tagged Books and magazines, сlothes for dolls.